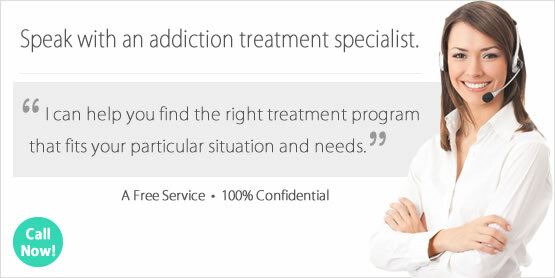 Looking for a Drug Rehab or Alcohol Treatment Center in Kansas? Getting help for a drug or alcohol problem in Kansas is as easy as walking into a drug rehab program in your area or picking up the phone and speaking with a drug treatment counselor today. There are drug rehab programs in Kansas for every type of addiction, and even if someone has relapsed after rehab in the past it doesn't mean that it can't work now. If you have someone you care about who needs help, you may need to do the reaching out to drug rehab programs in Kansas so that you can find the right program for them and get any help that you need to get them started. This could take a drug intervention which can be accomplished with the help and guidance of drug treatment counselors or perhaps an interventionist. So speak with a drug treatment counselor in Kansas right away to get help yourself or to help someone you care about. In a single-day count in 2013, 10,863 individuals in Kansas were enrolled in some type of substance use treatment, which was an increase from 10,314 individuals in 2009. Among treatment clients in Kansas that year, 37.8% were in treatment for drug use only, 20.2% were in treatment for alcohol use only, and 42.0% were in treatment for both drug and alcohol use. Alcohol is the most commonly consumed substance with the potential for dependence or abuse by both adults and youth in Kansas. It is estimated that 8.2% of Kansans aged 12 years or older meet the criteria for alcohol dependence or abuse, and among individuals in the 18-25 years age group this value is over double the overall population at 20.7%. In terms of illicit drugs, marijuana was the highest reported illicit drug used among adults in Kansas, again with 18-25 years age group having the highest percentage of reported use. The second most serious illicit drug use problem among Kansas adults is non-medical use of prescriptions medications, particularly pain relievers. As discussed alcohol is the number one drug problem in the state, as is poly-drug abuse involving alcohol. In Kansas, In Kansas, about 175,000 individuals aged 12 or older are alcohol dependent or have abused alcohol within the past year. Unfortunately, only around 6% of these residents received treatment for the problem. But because it is such a serious problem, individuals should know that there is an alcohol treatment program in Kansas that can work for them. Alcohol treatment should be a comprehensive as possible so that individuals aren't cycling through rehab because of relapses. So for clients who have extensive alcohol abuse histories or who are dependent, outpatient programs are the least ideal and inpatient and residential non-hospital facilities in Kansas are the programs best prepared to address and meet their needs fully. There are around 210 drug rehab programs in the state of Kansas, over 94% of which are outpatient treatment programs. Most outpatient facilities in Kansas offer very minimal treatment, although there are 11 outpatient facilities which provide more intensive day-treatment or partial hospitalization services. These facilities are often prepared to service clients who can't commit to an inpatient or residential program but have more extensive needs than what a regular outpatient program can offer, such as a co-occurring mental health disorder. In addition to the outpatient options in Kansas, there are also 28 residential non-hospital programs and 4 hospital inpatient programs. For individuals with extensive needs during detox and treatment itself because of extensive drug histories, residential and inpatient programs provide the most ideal treatment environment and highest success rates in treatment in Kansas. There are also 12 outpatient programs which are opiate maintenance facilities, and these facilities are authorized to administer medical drugs to opiate dependent clients in order to stop cravings and withdrawal. Methadone and buprenorphine as the drugs used, and these are also in the category of opiate drugs although they are legal when administered by medical professionals. Nearly 2,200 opiate maintenance clients take part in this type of treatment in the state. There are alternatives to this so that individuals can be truly free of drug dependence, but it is challenging even in the best circumstances. Opiate dependent clients who would prefer an alternative to opiate maintenance therapy should choose the most comprehensive and intensive treatment available in Kansas in order to make this a more realistic undertaking. What does Inpatient Rehab in Kansas Involve? Hospital inpatient and residential non-hospital treatment are both available in Kansas, with either short term or long term programs available. The individuals who receive 30-day treatment can expect to receive services which first help them stabilize physically and any help during detox, and moderate intervention following this including relapse prevention efforts so that they don't go right back to their old habits when they leave the facility. You have to keep in mind that 30 days is not very extensive when you take into consideration that many individuals are still experiencing intense cravings at this point. So for many clients, long-term treatment of 60-120 days is going to set them up better so that they don't experience a relapse. Additionally, inpatient and residential treatment is always going to be the next step when outpatient treatment has not met expectations and the individuals just falls right back into their same behavior patterns. Many addicted clients need the change of environment that inpatient or residential treatment centers in Kansas provide, so this is going to be their best chance at a full recovery. What does Outpatient Rehab in Kansas Involve? An outpatient treatment program in Kansas can involve 1 day of treatment per week, or treatment every day of the week depending on what type of program the client is involved in. Most outpatient treatment programs in Kansas provide substance abuse counseling and therapy services through individual meetings, group counseling, and individualized treatment services if there is something in particular that needs to be addressed while the person is in treatment. Dual diagnosis clients for example, would need to seek treatment services in an outpatient rehab in Kansas which treated co-occurring mental health disorders if they aren't able to participate in inpatient or residential treatment where these services are offered. Because outpatient treatment is most often a very minimalistic approach, clients who don't respond adequately should speak with their treatment counselor about the possibility of taking part in a more intensive treatment program that could suit their needs better.